For as long as I remember I have been interested in small spaces, from making dens as a child to living in van on extended road trips. As an adult this interest transformed into an interest in cabins and small living structures, with dreams of one day having my own. Around a year ago I saw an online news article about a couple who built their own little house on wheels, this was my introduction to the tiny house movement. Living in small spaces isn’t anything new, but with average house sizes getting bigger and bigger, living in spaces which shun excess certainly isn’t the norm these days. The financial and mental burden which living in big houses creates for their occupants is making people stop and think about what it is exactly that they are so working hard for. For many it is to pay for a big house that they spend increasingly less time in. In addition to this, houses need to be filled. Possessions are not only seen as status symbols, but we are increasingly programmed to spend money (which we may or may not have) on collecting more and more ‘stuff’. With easily obtained debt to buy this stuff, living within your means seems to be getting rarer and rarer. 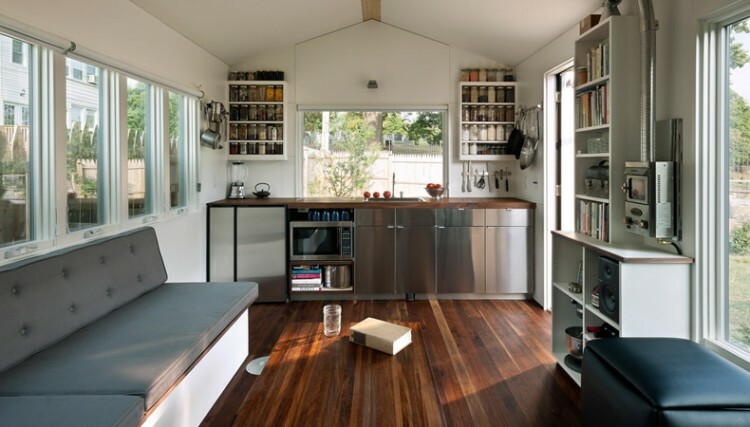 Those wanting to go against this trend see living in small structures not only as a way to reduce or eliminate their rent or mortgage payments, but as a way to simplify their lives and focus on the things important to them. This may mean travelling, working less or spending more time with their loved ones. Everyone that decides to live tiny will undoubtably have their own unique reasons, but whatever they may be, the end goal always seems to be a more balanced and fulfilling life. Many tiny houses are build on wheels to get around planning regulations, which often impose minimum house sizes. While the houses are portable, when a suitable place to park them is found, they are rarely moved (although some people do travel the country in their tiny houses!). Everywhere is different, so each tiny owner must undergo their own unique journey to find a suitable location which is accepted by not only the local authorities, but by any neighbours. The philosophy and challenges that living tiny raises really seems to bring people together which is creating a movement right now. With so much information being shared with the help of the internet, more and more people are looking at these funny little structures on wheels as a way of getting closer to what is really important to them. Since my introduction to tiny living I have been spending increasing amounts of time absorbing everything I can find about tiny living and people’s motivations for taking this path. The more I read, watch and hear, the more I realise that this way of living resonates with many of my own views on how I currently, or aspire to live my life. Both travelling and moving abroad have been good exercises in working out what I do and don’t need in my life. The more unnecessary ‘stuff’ I do away with, or avoid buying in the first place, the more liberated I feel. I genuinely believe that an emphasis on ‘stuff’ only brings unhappiness. Living tiny embraces this simplistic approach and prevents you from collecting too much stuff – there just isn’t room for it! Something I often hear said by people who have gone tiny is that every time they consider buying something new, they have to consider what they will get rid of to make room for the new item. I have always been good with money, probably because when I was younger I didn’t really have much to speak of. I have always avoided debt, and this isn’t something I want to change. I do however want to own somewhere to live one day. For years I have saved up for a deposit on a mortgage, I am now realising that this money could instead be used to finance the building of a dream which would leave me with no mortgage payments. Cutting out excess, avoiding a mortgage and living a more simple lifestyle is already sounding like a pretty nice way to live life. The financial implication of this will mean that I shouldn’t have to work all that much. Anyone who knows me will know that I like to only work as much as I have to. I hope that by getting my cost of living down I can spend more time living my life and less time working. Less financial burden and less time working will leave more freedom to spend time doing the things I love. A big one of these is travel. Owning my own tiny house will mean I won’t have to worry about paying rent or a mortgage whether I am there or now. I have even considered the possibility of renting out the tiny house on a short term basis while away using a site like AirBnB to draw in some money, which others seem to be doing successfully. I have never been a fan of doing something just because that is what everyone else is doing. I usually go the opposite way for that exact reason. Building my own home and lifestyle means I can make deliberate choices that are right for me, and fulfil my own unique needs. Living in a small space requires you to think about everything in that space, because everything must have a purpose (or more likely more than one!). Jay Shafer, who has played a large role in the tiny house movement, points out that houses are often build with resale-ability in mind, not the need of it’s occupants. Combined with the cheapest way to add value to a property – increasing it’s square footage, he argues that by “seeking to be anybody’s house it becomes nobody’s”. I want to build a house for me. The longer I am on this planet, the more of an appreciation I have for our impact as humans upon it. I try to educate myself and do my part in lowering this impact, which I’m sure is not enough. Living a tiny life goes hand in hand with reducing ones footprint. While certainly not the only motivation for this lifestyle, I am looking forward to learning more about what more I can do. I am already doing research into water and energy consumption, and how things like composting toilets, rainwater collection and solar power can be integrated into a house. I certainly hope to utilise these and other methods into the build. This will be no small undertaking. I have a lot to learn. OK that is an understatement, I have LOADS to learn, but for me the journey is as important as the destination. I also look forward to creating something physical and not digital for a change. At a minimum I will come away from this with a house I own, that I build with my own hands. I am hoping that I will also acquire new skills, knowledge and will have learned a few things about myself. 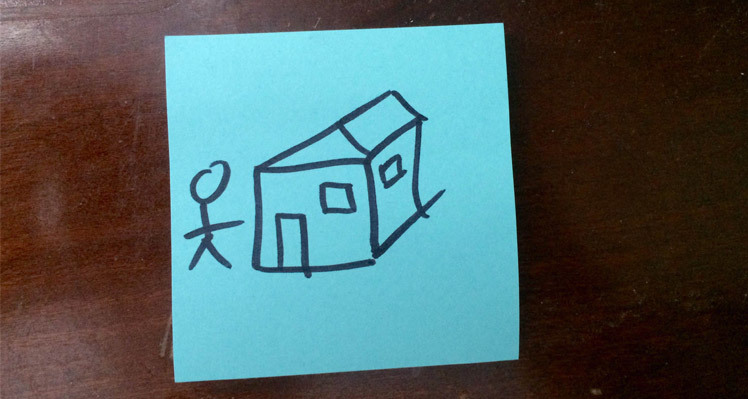 Building tiny requires a lot of thought, smart design and hard work. It’s a big project and as I continue to question how I want to make a living, I am beginning to realise that I need a project to apply myself to. My van conversion projects, though on a much smaller scale, have given me enough pleasure and satisfaction in their planning and execution alone to justify the cost of the project. To me, building my own house is the ultimate project. I am right at the start of what will be a not only a multi-year project, but a lifestyle change. At the moment both seem very appealing. As I get older I think more about the kind of life I want to live. It’s taken a while, but now I am starting to piece it together I feel very fortunate that I am able to go out and build it for myself. I am also looking forward to a big project that I can sink my teeth in to and possibly even come out of the other side with new insights into myself. At the moment I have many questions without answers. As I move forward I aim to answer some of these, though I don’t expect to have an answer every one before building actually starts. 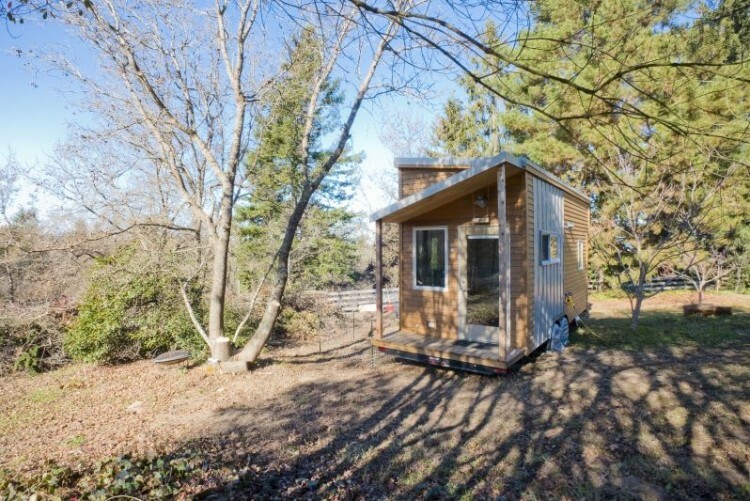 I have heard many stories of people not knowing where they will eventually park their tiny house (probably the biggest consideration in the whole project) when they were mid-build. This is going to be a huge undertaking and I know at times it is going to get tough, but I don’t think it would be worthwhile if it was going to be easy. Great post Joe, it's so cool to read all of your thoughts here that resonate with exactly what I've been thinking lately. It'd be great to chat sometime as I just got approved to do my final school project as a tiny house design! So I'm going to do all the research and do Tiny Nest's Sketchup course and 3D build my own. When we'd start to actually build it would depend on Andrea's school (if she gets in or not) but we'll need to coordinate, how cool would that be to build our houses together! 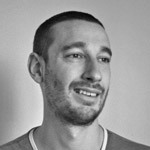 Share ideas and tools etc.